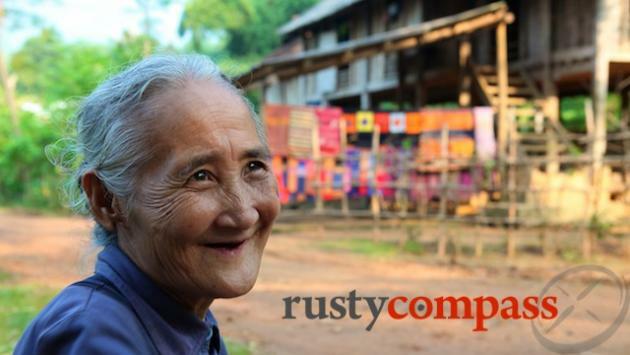 An independent travel guide to Mai Chau with candid reviews and recommendations. No sponsored content, no advertorial. 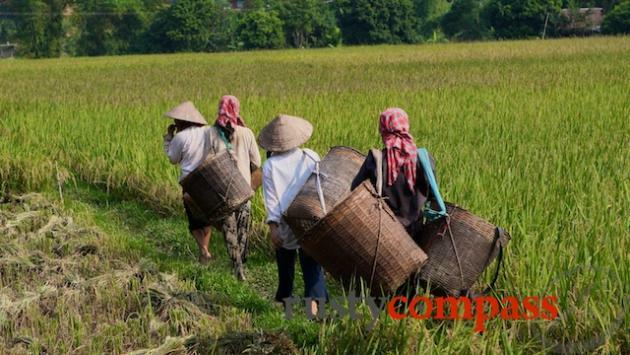 The Mai Chau Valley, 135km south west of Hanoi is close enough to the capital to be a popular overnight or weekend trip for travellers. Despite that, it remains a delightful place of natural beauty, welcoming local minority people, some good treks and easy cycling. 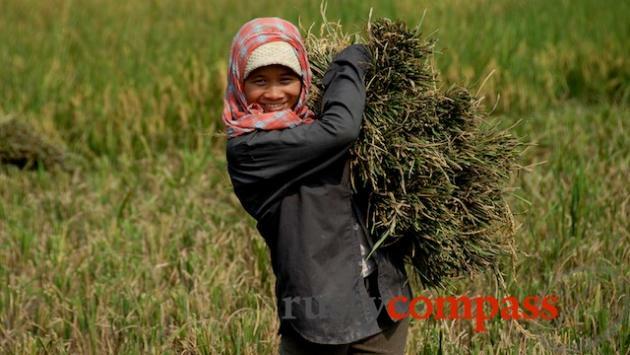 Mai Chau is a perfect compromise for travellers that don't have time to make it to Sapa but are still keen to experience some ethnic minority, mountain country. 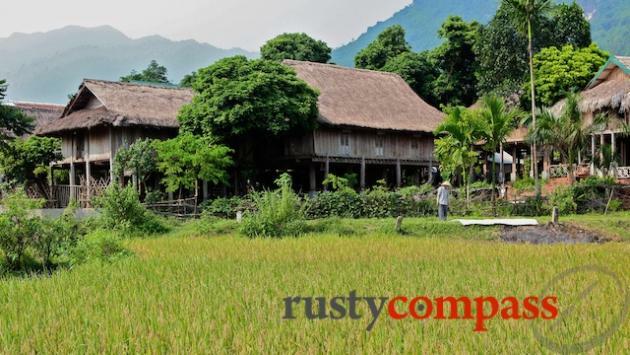 Most travellers to Mai Chau stay in traditional long houses in the settlements of Ban Lac or Poom Cong. While the stilt houses have been set up with travellers in mind, they are real families and real minority communities that are complementing their income from farming and weaving by providing traveller accommodation. It may not be completely authentic but it's a great experience - providing they're not running close to full. Once you've settled into your long house accommodation, it's time to start exploring the area. 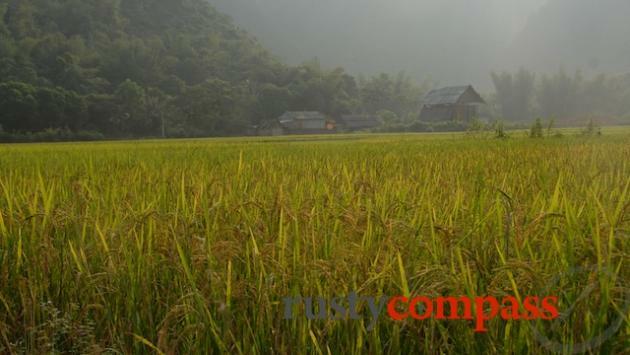 The Mai Chau Valley is dominated by rice paddies and small villages and enclosed by mountains. It's an idyllic scene and while most travellers only spend a night here, it's easy to stay longer - especially for trekkers. Cycling is also a great way to get around. The White Thai locals may dress the same as the local Vietnamese but they retain their cultural uniqueness and you'll note a different personal style too. Their hospitality is a highlight along with the delicious family meals served up.